Thanks for visiting my Tee-Rific website. Here you'll find samples of the variety of my work. If it stands still for a minute, I can letter it. I update the photos regularly, so stop back and steal some ideas. I've lettered some unique things over years. Forty years ago when I started lettering, there were no computer assisted or printed graphics, let alone the internet. It was all hand lettering for me and my customers. Times change but the need remains for clean readable signs that help customers sell more of their goods. These days, the advertising and marketing catch phrases include branding, social media, logos, viewership, readership, legibility, retention and frequency. Remember to keep your message simple, keep it steady, keep it honest, keep it fresh and keep it clean. Don't muck up your designs with swirls, doodads, double drop shadows, or all upper case Old English lettering (my pet peeve). Above all - keep it readable and offer something for the reader. The sign is for their benefit, not yours. What's in it for them? Do this and they'll read your sign. Get on Course! 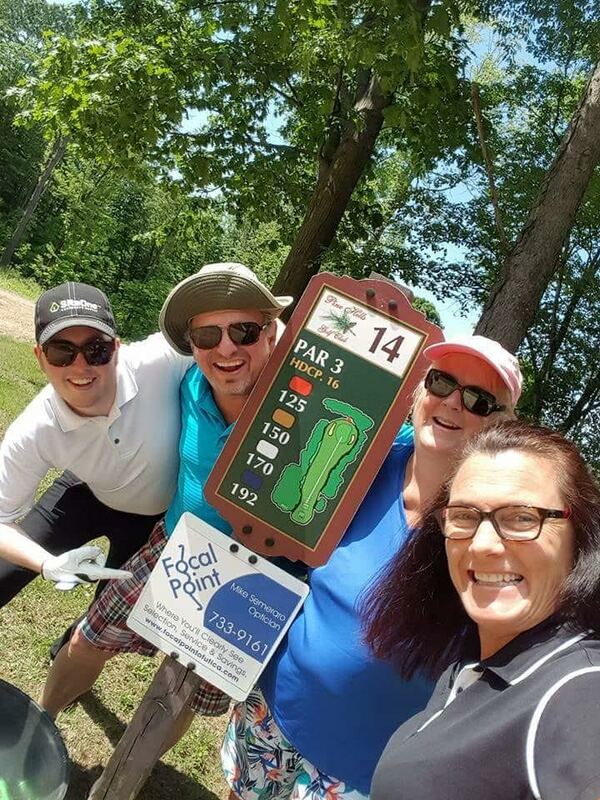 For over 30 years we've been helping our customers "Drive their sales" with our Tee-Rific Advertising locations at the area's busiest and most popular golf courses. Call today for available locations and start enjoying for pennies per day. You need a Graphic Designer and Sign Shop, just not full time. From consultation, material selection, graphic design, to fabrication & installation, I can offer solutions to help you be seen and sell more, all within your budget. I want to be your graphic designer and sign shop.